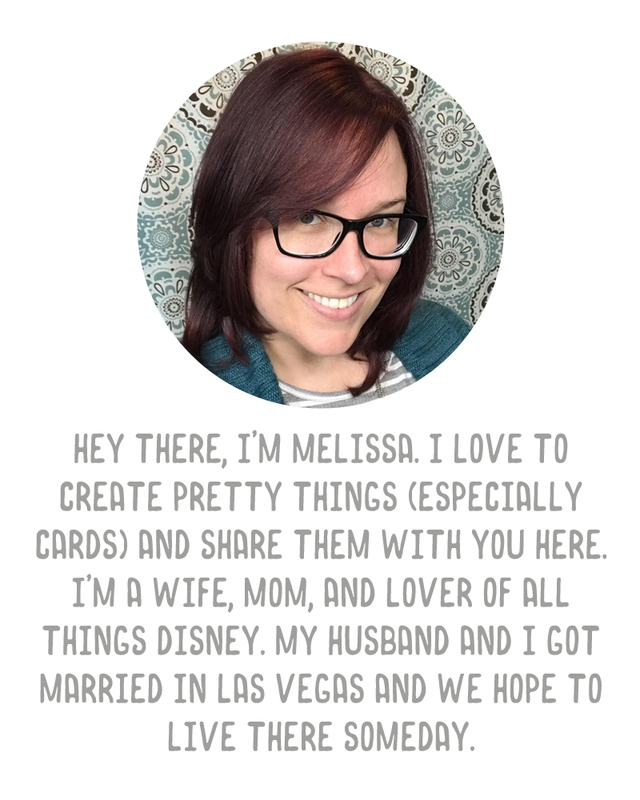 I made up an adorable little baby card for a co-worker. His wife is having a boy and I thought the neutral colors on this card were perfect. My inspiration came from this pin. 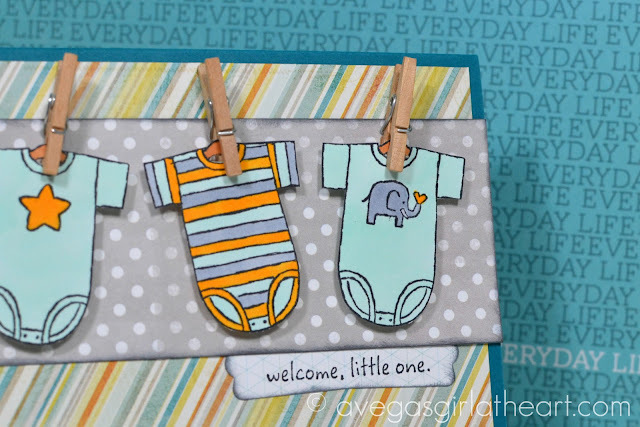 The clothespins were from Stampin' Up!, along with the onesie stamps. They're actually a roller stamp that I cut up and cling mounted. I colored them in with Copics and cut them out by hand. Soooo sweet love it Melissa! 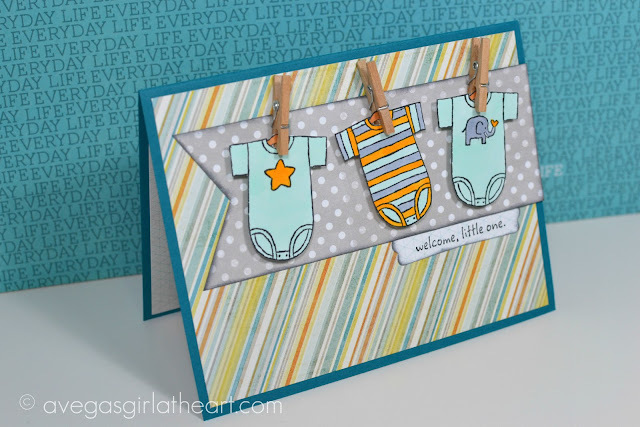 Love those twee little clothespins! OMG!